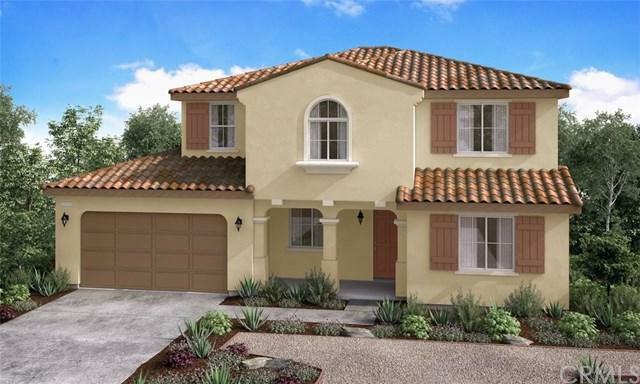 This beautiful brand new 2 story home with an open space view lot is located in the heart of Redlands which is a rare find in the area! This home features approx. 2747 square feet, 4 bedrooms, plus loft, 3 full bathrooms (1 bed/bath downstairs), spacious great room open to the gourmet kitchen with granite counter tops and the perfect island for every cook. Enjoy entertaining your family and friends in the formal Dining Room, the kids will love the loft upstairs in between the secondary bedrooms, the master suite is the perfect retreat to escape with an incredible master bathroom with large walk in closet. In addition, the 2 car attached garage comes with a spacious tandem area for tons of storage. This new home is under construction and not complete at this time, estimated July 2018 move in. Buyers have time to select the interior finishes that they love to dream about owning. All photos are of the models not the actual home site for sale. Best of all - no home owner's association dues. Sold by Kristinna Sellers of Cayman Construction Inc.